The online vendor application is now available. Limited spaces are available. We sold out last year so we recommend you apply early in 2019 to secure your space. 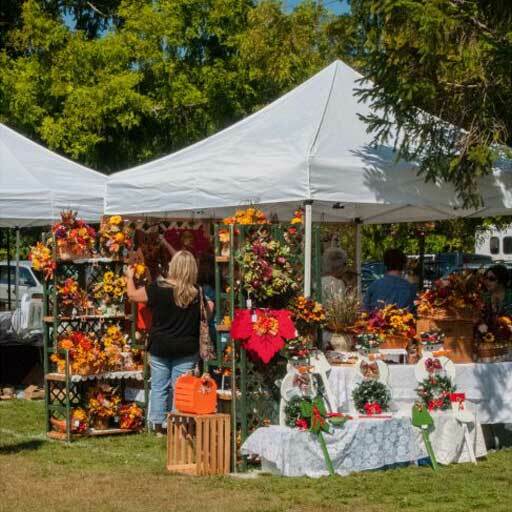 Fair hours: 9 a.m. – 5 p.m.
Each September, the Babylon Beautification Society holds a craft fair around Argyle Lake in Babylon Village. Hundreds of craft vendors sell hand-made items to crowds that have numbered in the thousands. 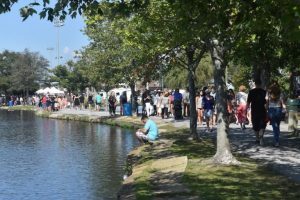 Known as one of Long Island’s best fairs, our Annual Fair offers food and entertainment around the Gazebo area and features a children’s section with small rides and activities. If you have any questions about our fair please email us at info@babylonbeautification.org. All items MUST be hand-made. 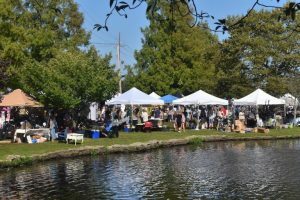 NOTE: the fee was increased from 2018 because we need to pay security to police the fair grounds to remove vendors selling non-made items. To those vendors who participated in 2018 and falsified their applications and sold items that were not hand made we have taken note and your future applications will be denied. If you have participated in the past and have sold manufactured items your application will NOT be approved. If you provide misleading information on your application and bring non hand-made items to the fair you will be removed from the venue and banned from participating in future fairs. If any vendor or participant is aware of any other participating vendor selling non hand-made items, please report it to us immediately via email. You must submit the online application below and pay via credit card. We do not accept applications and payments via postal mail. Do not print the application and mail it to us. It will be returned to you. Walk-on vendors will NOT be permitted or approved. All applications must be reviewed and approved. The review process takes several weeks. After you submit the application you will be directed to a Paypal page to make your payment. After you make your payment you will receive a credit card receipt from Paypal. This is receipt of your payment and that we’ve received your application. It is not acknowledgement we’ve accepted your application. If you don’t make your payment immediately after you submit your application we will reject your application. If we have a question regarding your application we will notify you. Note: if your application is not approved we will alert you via email and issue a refund less a $6 processing fee, per space. If you have questions about the application process please contact us before you apply. We will not be mailing any information via USPS. We will notify you of your acceptance via email. Space assignments will be sent via email on or before August 19, 2019. Be sure to white list our email address and add it to any safe-sender list (info@babylonbeautification.org). All spaces are 10’ x 10’. We provide only the space. You are required to bring tents, tables, chairs, display materials, etc. The following are prohibited: organizations that are social, religious and political in nature. Service organizations and service firms are also prohibited. Non-profit organizations and any type of fund raising is strictly prohibited. The criterion upon which we assign spaces includes the date of receipt of the application and number of spaces requested. Location requests will be considered but no guarantees of a specific location or area will be granted. We suggest you apply very early to have your request considered. Please keep in mind that the venue is a park so the ground is not level. Please also be aware that space numbers may change from year to year due to changes in the landscape. Requests based on other vendor products and proximity to other vendors cannot be considered. These types of requests are not logistically possible. Requests for corner spaces will not be considered so please do not ask. Please keep in mind the weather and plan accordingly. Your space may be sun facing and it could get hot. Be prepared and bring appropriate materials to shield yourself from the sun. Set-up: the Babylon Beautification Society provides only the site. All display materials, tables, chairs, etc. are the responsibility of the vendor. You must set up by 8:00 am the day of the fair. There is no unloading or parking on the grass area. The fair ends at 5 pm. Note: people usually arrive early. Gas powered generators or any type of equipment of that nature is strictly prohibited. Please note: we limit the number of food and beverage vendors so your application may not be approved if you plan to sell food or beverages. Please contact before applying. Food vendors are prohibited from selling manufactured food items. All food items must be pre-packaged and vendors are prohibited from preparing or packaging food on-site. Heating and refrigeration units are strictly prohibited. Food samples are not permitted unless prepackaged. Please contact us prior to filing a Suffolk County Board of Health permit. Beverage vendors will be permitted only by special exception. Bottled water and other bottled beverages as well as canned beverages are not permitted. Alcohol is strictly prohibited. Shaved ice vendors are not permitted. We already have ice cream vendors secured and additional vendors are not permitted. Sales of fruits and vegetables, cut flowers, potted plants and flowers are limited, please contact us for more information. We expect all vendors to be professional and treat all other vendors and all visitors in a kind and courteous manner. We reserve the right to remove any vendor or person from the premises for any reason. Neither the Babylon Beautification Society nor the Village of Babylon shall be held liable for any damages, loss, theft or injury resulting from participation of the applicant and/or his/her agents. The applicant is solely liable for his/her person and property, as well as that of his/her agents, before, during, and after the event. 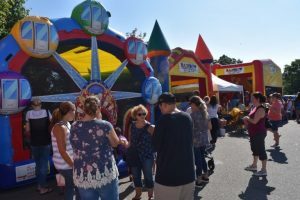 If the originally scheduled date for the fair is cancelled because of weather, the Babylon Beautification Society is not required to provide any food booths or a special section for children’s games and attractions and entertainment on the rain date. The Babylon Beautification Society reserves the right to limit certain types of participants and merchandise, and to enforce all regulations pertaining to applicants and/or their representatives. We reserve the right to reject any application for any reason. We will issue a public notification if there is a cancellation due to rain on the morning of the fair AT 5 am. Notifications will be sent via email and posted on our website and Facebook page. Note regarding refunds: we will NOT issue a refund if the fair is cancelled on the original date due to inclement weather. We have a rain date for this very reason so we suggest you keep both dates open. There will be no exceptions. In the event of rain on both dates and the fair is cancelled we will issue each vendor a refund less a $50.00 fee for filing. You must be a current member of the Babylon Village Chamber of Commerce to qualify for this discounted rate. All other terms and conditions apply. Payment is due upon submission of your online application. We do not accept applications and payments via postal mail. Note: the application review process takes several weeks and if your application is not approved we will refund your fee less $5. Note: We will not accept any applications after August 26, 2019. All cancellations are subject to a $50.00 cancellation fee. Cancellations after August 1 will result in forfeiture of the entire application fee. THERE ARE NO EXCEPTIONS. When making your payment via the Paypal portal you will have the option to pay via your Paypal account (if you have one) or with a credit card. NOTE: you must use the same email address on your application in the payment portal or we won’t be able to match the payment to your application. If we can’t identify your payment your application may be rejected. After you submit your payment through the payment portal you will receive an email receipt from Paypal, this is your confirmation that we received payment. NOTE: this is not confirmation that your application is approved. You should keep this email for proof of payment. By applying and submitting your application and payment you are agreeing to all of our terms and conditions. Please read them all very carefully as we won’t make exceptions for any reason.